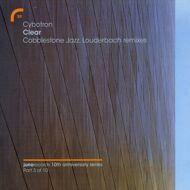 Cobblestone Jazz (Matthew Johnson, Danuel Tate and Tyger Dhula) took on this project - remixing the classic Cybotron track "Clear" - brimming with excitement. They recreated every part and then played and recorded it live. Louderbach incorporates new vocals, resulting in another stunning remix.